Image 7172897: Sketch objects composition. 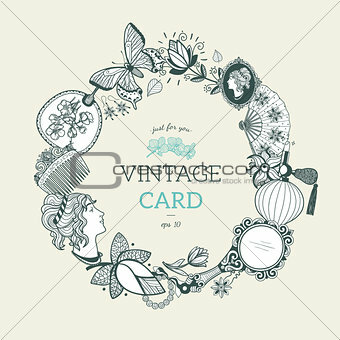 Image Description: Vintage design for card or invitation. Vector template.